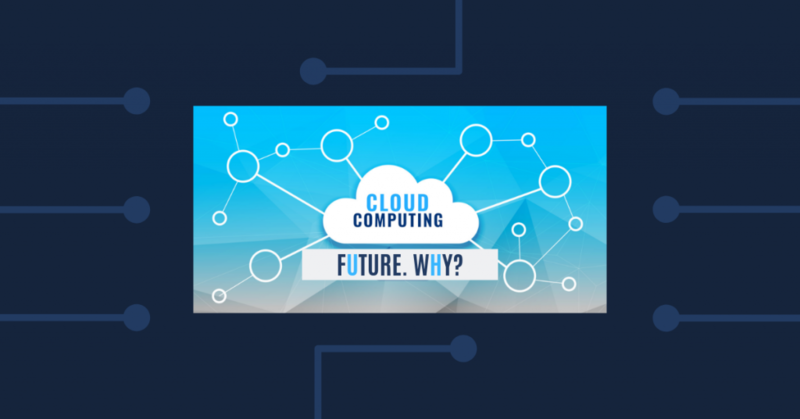 Home » Big Data » Why Cloud Computing is the future of enterprise application platform? Technology is the marvel of human innovation. It keeps evolving at a rapid pace with the sole aim of simplifying human life. The recent years have been the most remarkable in the history of technology. New innovations have been replacing the old tech and the industry has been in an ever-adapting mode. Constant up gradation is the only way one can survive and thrive in this competitive Digital Age, especially when one is in charge of running an enterprise. Any organization, big or small deals with a bulk load of data regularly. The popular term used to denote massive volumes of data in an enterprise is Big Data. Now, there was a time when local servers were used to store the data and run it, but that changed with the introduction of Cloud computing. In simple terms, Cloud computing allows organizations to manage their data in a more cost-effective and efficient manner. This has led many to move on to the Cloud, and it is quite the trend in the tech world. With more organizations adapting to and adopting cloud services and tools, experts are of the view that very soon Cloud computing will replace the traditional enterprise application platforms. But before we delve any further let’s brush up on the basics of cloud technology and the ones related to it. Cloud computing can be defined as a technology that stores, manages and processes bulk load of data on remote servers. There is no use of physical drives or local servers. Big Data, on the other hand, is the massive volume of structured and unstructured data processed and managed by an organization for further analysis. The smooth running of any organization depends on the successful storing and processing of the data, as it is directly related to the core functions. Why Do You Need To SwitchOver To Cloud Computing? Cost-Effective: The key benefit of Cloud computing is that it helps in cost-cutting. There is no need to spend money on building and maintenance of infrastructure for managing Big Data. The cloud space needs to be bought from service providers or vendors. So, all data related maintenance, back-ups, disaster management is taken care of. It gives you ample time to focus on the core business and saves your money that otherwise would have been spent on skills and resources. Flexibility: Cloud computing gives you sufficient room to adjust and adapt to fulfill your purpose in case it changes with time. It helps you to utilize your resources in the right manner. You can optimize your resources as per your need. Accessibility: Unlike the old methods, Cloud technology allows you to access the Big Data from any place at any time from any device. It definitely improves operations and data analytics. Integration: Integration is another contributing side of cloud computing. Assimilation of new data sources and managing huge volumes of data becomes very easy. There is no shortage of storage which comes as a boon when you want to keep up with the increase in Big Data. Setting up and maintaining an on-premise Big Data infrastructure demands skilled resources and a significant amount of money. This becomes an issue for small or mid-level businesses as they don’t have the financial strength to afford that. But with cloud computing, anyone can enjoy the benefits of Big Data infrastructure without having to build or maintain themselves. Availing cloud technology allows them to pay for the resources that they need at that time. As soon as the purpose is fulfilled you can drop the extra load just like that. Everything happens quicker when you are working in the cloud. Even the expansion of data platforms takes significantly less time. The ones who have already spent a big chunk of the finances in building their own Big Data infrastructure might face some difficulty in transferring the data to the cloud. For many, it becomes too difficult to carry the burden of the extra cost. In other cases, the people taking care of the already existing infrastructure, express displeasure while handing over the duties to the third party service provider. In that case, the heads of the organization need to convey the long term benefits of cloud computing to the employees. Other concerns related to administration and data security are also deterrent factors that prevent organizations from shifting to cloud technology. However, that should be the least of the concerns for anyone as the majority of the cloud vendors provide cloud platforms that endure total security to data and other company information. With time there is a high chance that a company will experience a hike in the volume of data. If the infrastructure is not able to match up to the data demand then the analytics takes a direct hit. It causes the performance to falter due to the slowing down of analytics tools. That’s why it is very important that you transfer the analytics to the cloud along with the Big Data. Building the Big Data analytics platform in the cloud allows the organization to leverage the stored cloud data for analytics. This process enables faster accessibility of the Big Data. That way the user can make use of it easily during the time of need. After considering both the advantages and shortcomings of cloud computing, it cannot be denied that positive does outweigh the negatives. The trend of shifting data to the cloud will gradually make all the older methods go obsolete. The benefits of cloud computing are hard to ignore and the evidence is clear in its rising popularity. One can very well say that Cloud computing is the future of enterprise application platforms.